France is closing the Eiffel Tower this weekend because of protests. So what's going on? With protesters from the “yellow vest” movement calling on social media for “Act IV” - a fourth weekend of protest - Prime Minister Edouard Philippe said 89,000 police nationwide would be deployed to stop a repeat of last Saturday’s mayhem across France. About 8,000 of these would be deployed in Paris where rioters torched cars and looted shops off the famed Champs Elysees boulevard, and defaced the Arc de Triomphe with graffiti directed at President Emmanuel Macron. Seeking to regain the initiative after weeks of civil unrest, the government appeared ready to offer concessions. Philippe told the Senate he was open to new measures to help the lowest-paid workers while Finance Minister Bruno Le Maire said he was prepared to accelerate tax cuts for households and that he wanted workers’ bonuses to be tax-free. “I am ready to look at all measures that will help raise the pay of those on the minimum wage without doing excessive damage to our competitiveness and businesses,” Philippe told the parliament’s upper house. 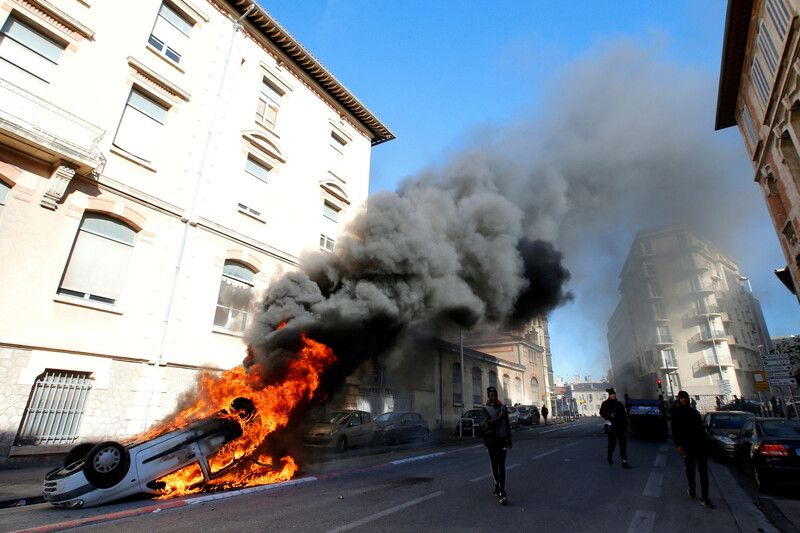 A burning car is seen in the street as youths and high-school students clash with police during a demonstration against the French government's reform plan in Marseille, France, December 6, 2018. The rush of sweeteners to soothe public anger began with Philippe’s climb-down on fuel tax hikes, the first major U-turn of Macron’s presidency. Yet, five days after the worst rioting central Paris has seen since 1968, all signs are that the government has failed to quell the revolt. A repeat of last Saturday’s violence in Paris’s city center would deal a blow to the economy and raise doubts over the government’s survival. Philippe said the state would do all it could to maintain order. Six first division football matches have been canceled. Authorities in Paris ordered dozens of museums, tourism sites, shops and restaurants to close on Saturday, including the Eiffel Tower and Louvre. Local officials in 15 areas around the capital were also asked to remove anything in the streets that could be used as projectiles. “We are facing people who are not here to protest, but to smash and we want to have the means to not give them a free rein,” Philippe told TF1 television’s evening news program. 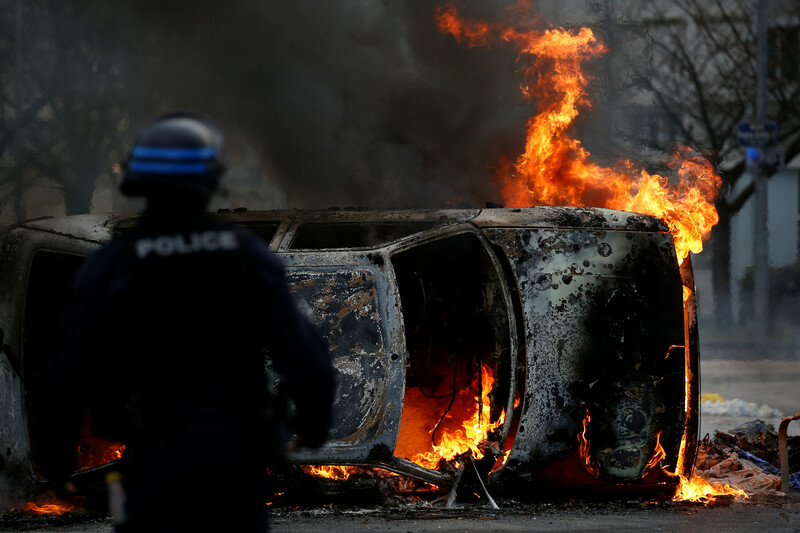 As well as increased police numbers, twelve armored vehicles belonging to the gendarmerie would be used, the first time in a French city since 2005 when riots broke out in the capital’s suburbs. There is concern about far-right, anarchist and anti-capitalist groups like the Black Bloc, which have piggybacked off the ‘yellow vest’ movement. 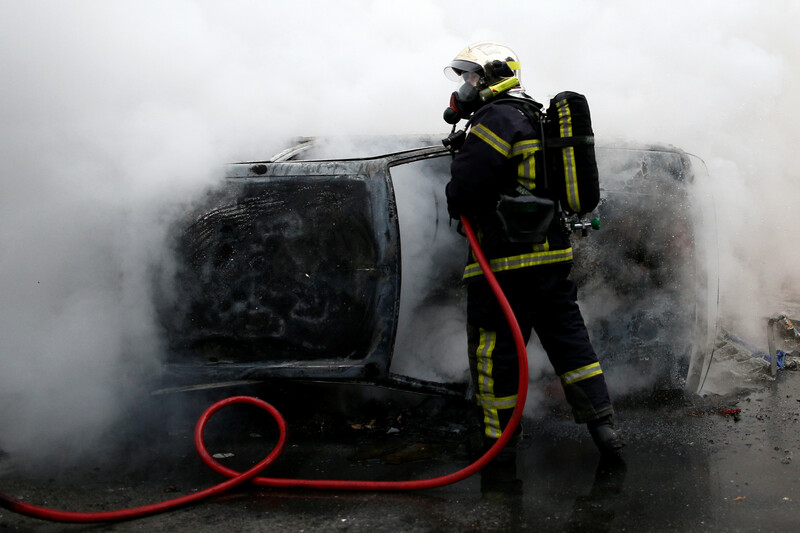 A French fireman extinguishes a burning car as youths and high school students protest against the French government's reform plan, in Nantes, France, December 6, 2018. 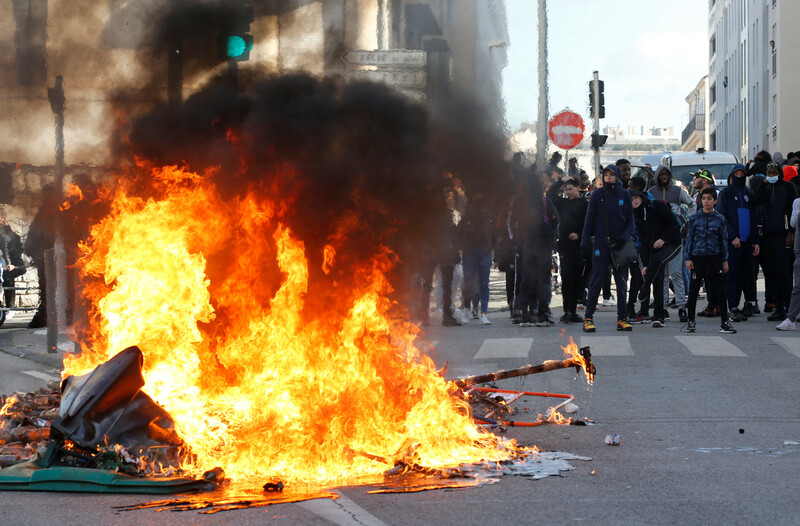 Other towns across the country, including Bordeaux, ordered pre-emptive measures over concerns that protesters may opt to rally regionally rather than face tightened security in Paris. On Facebook and across social media, protesters called for “Act IV”. “France is fed up!! We will be there in bigger numbers, stronger, standing up for French people. Meet in Paris on Dec. 8,” read one group’s banner. 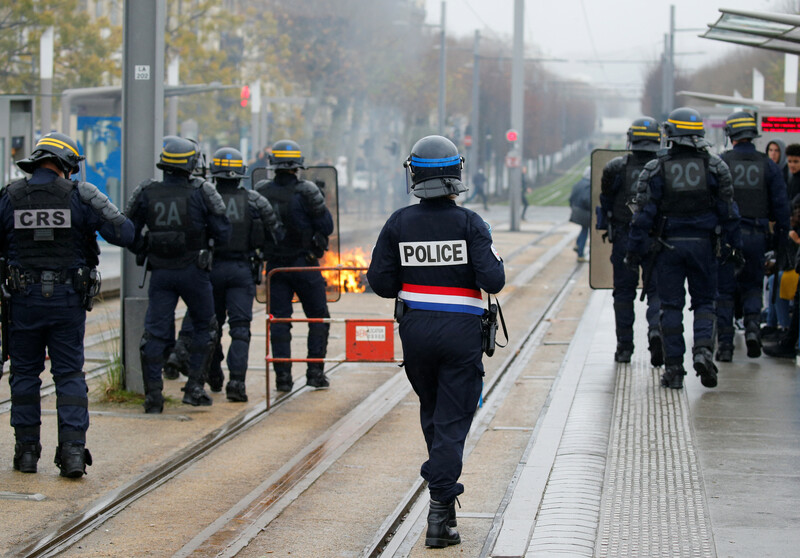 French police stand guard as youth and high school students burn a trash container during a protest against the French government's reform plan, in Bordeaux, France, December 6, 2018. The protests, named after the fluorescent safety jackets French motorists have to keep in their cars, erupted in November over the squeeze on household budgets caused by fuel taxes. Demonstrations swiftly grew into a broad, sometimes-violent rebellion against Macron, with no formal leader. Their demands are diverse and include lower taxes, higher salaries, cheaper energy costs, better retirement provisions and even Macron’s resignation. Reversing course on next year’s fuel-tax hikes have left a gaping 4 billion euro hole in the government’s 2019 budget which it is now searching for ways to plug. Citing unnamed sources, Les Echos business daily said the government was considering delaying corporate tax easing planned next year or putting off an increase in the minimum wage. The unrest has exposed the deep-seated resentment among non-city dwellers that Macron, whose popularity is now at about 20 percent, is out-of-touch with the hard-pressed middle class and blue-collar workers. They see the 40-year-old former investment banker as closer to big business. Trouble is also brewing elsewhere for Macron. Teenage students on Thursday blocked access to more than 200 high schools across the country and clashed with security forces. 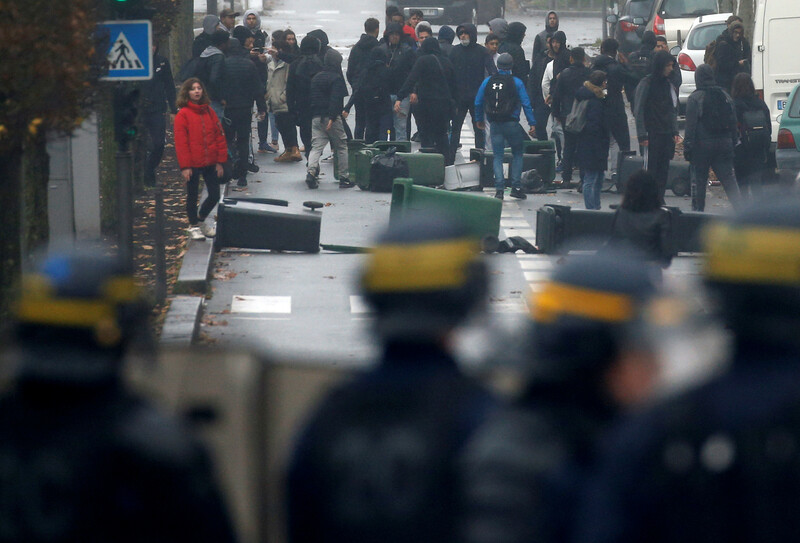 About 700 students were arrested, French media reported. 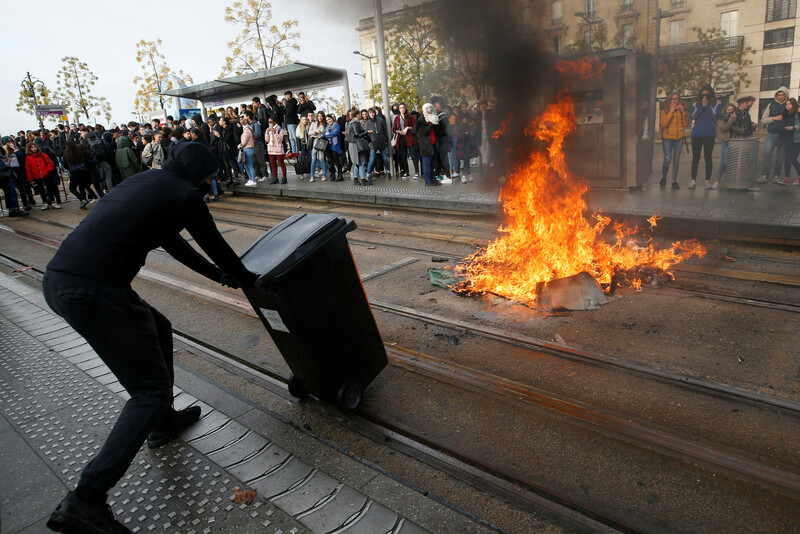 Youths and high school students burn a trash container during a protest against the French government's reform plan, in Bordeaux, France, December 6, 2018. Farmers and truckers are also threatening blockages and strikes from Sunday. Yellow vest protests are erupting around the world – but are they a passing fad?